Ongoing deal, never expires. Last validated 3mo ago . Used 2 times. 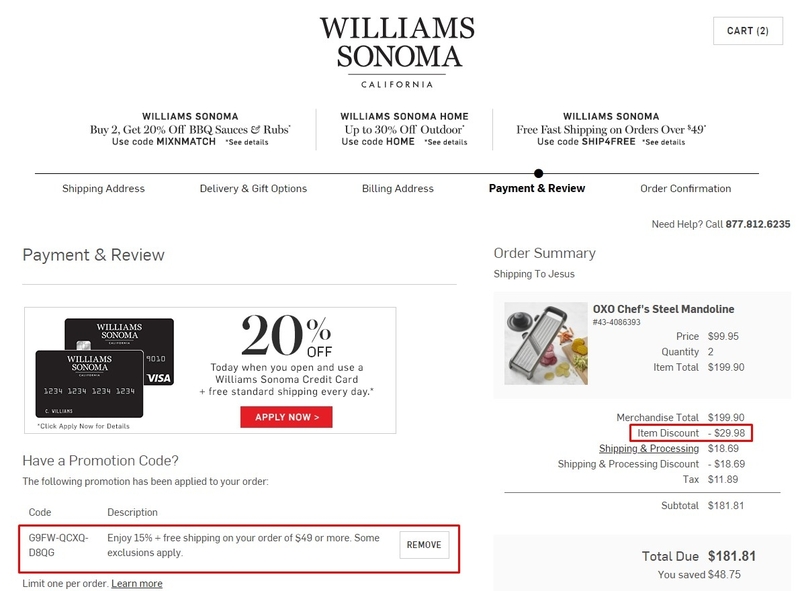 Yisus This coupon is valid and working as described. 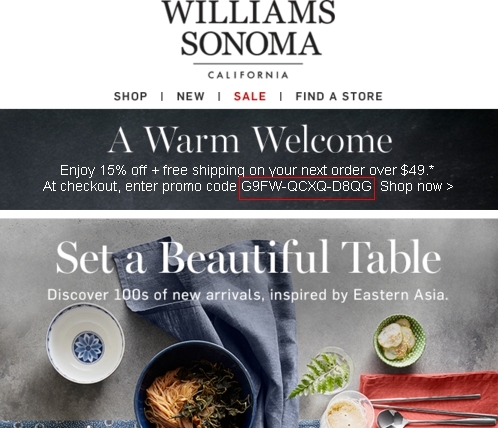 Select your product, go to the shopping cart, enter the promotional code and Get 15% Off + Free Shipping On Your Orders Over $49 at Williams Sonoma.